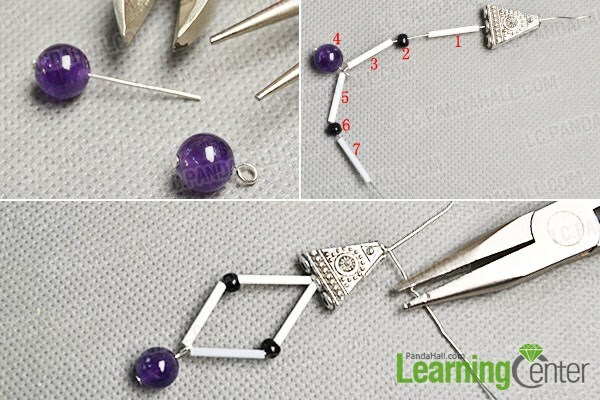 Summary: Now, I am going to share you a Pandahall original earring pattern. 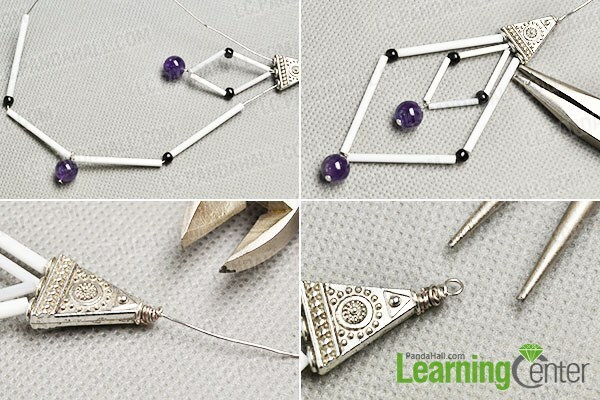 Follow me to see how to make Tibetan bugle and seed beads earrings if you are interested. 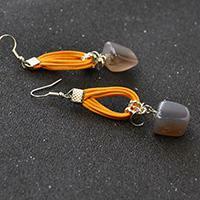 Look here, do you like this pair of simple beaded earrings? 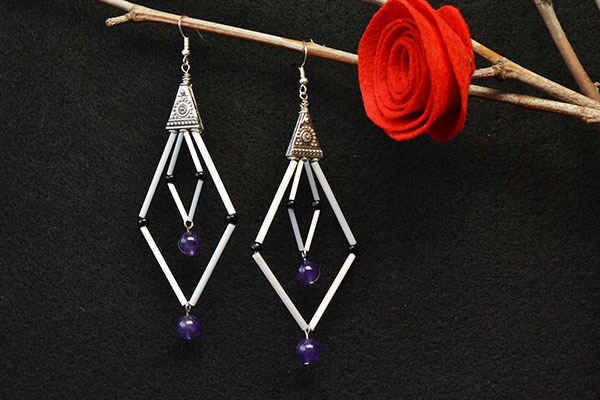 You can see this pair of original and special earrings clearly from above picture, then I will show you the tutorial on how to make this pair of Tibetan bugle and seed beads earrings. 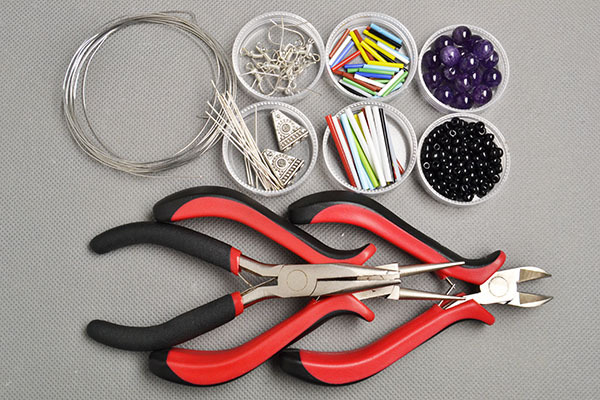 Get the supplies below and follow to make them now. 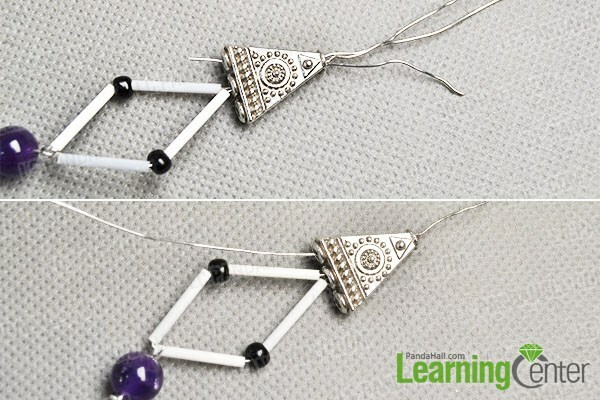 3rd, thread the other end of the wire through center hole of the Tibetan bead, then twist the two wires together. 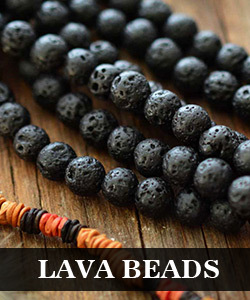 Cut off another piece of 0.5mm copper wire, then thread it through the left hole of the Tibetan bead. 2nd, thread the other end of the wire through the right hole of the Tibetan bead, then twist all the wires together and make a loop at the top. 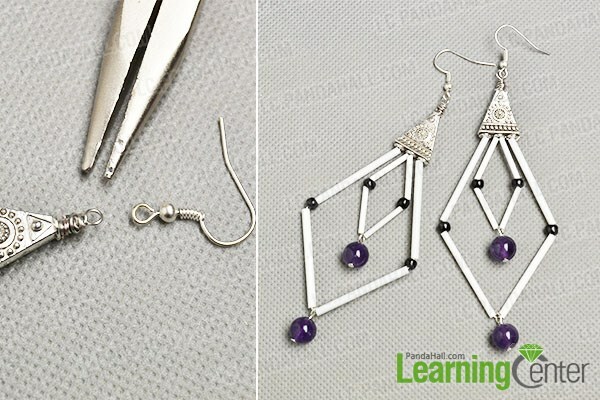 2nd, make another same earring in the same ways. 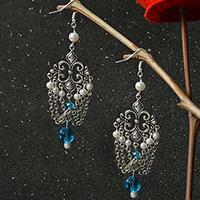 Now, do you also want to try the simple earrings? If yes, you should gather the materials, then follow this tutorial to make your own one. Pay attention on our website, we will share you more nice projects. See you next time!